Inspired by Albrecht Dürer 1503 masterpiece, Great Piece of Turf, Mat Collishaw brings to life this famous Dürer watercolour study. The composition features a large piece of turf displaying wild plants like dandelions, creeping bent, meadow grass and hound’s tongue. Considered one of the masterpieces of Dürer’s nature studies, this work was primarily a tool to observe and reproduce the detail of the Bavarian landscape. Mat Collishaw respectfully continues this minute observation and gives the roots and stems their own movement. 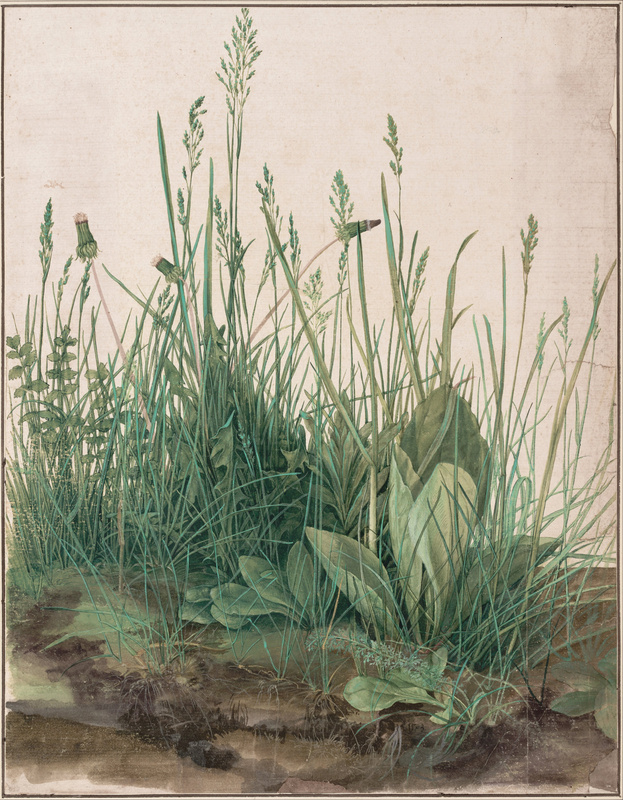 The dynamic composition sways to a natural rhythm and the pale background imposes a sense of order and calm updating Dürer’s 16th century representation of nature into the 21st century.